As we saw in the first part, this Detergo Special on electronic identification systems for garments really does open an important window on the present-future of rental laundries. Come abbiamo già avuto modo di capire nella prima puntata, questo Speciale dedicato da Detergo ai sistemi di identificazione elettronica dei capi consente davvero di aprire una finestra importante sul presente-futuro delle lavanderie industriali. Where the future is becoming increasingly more about the ability to organize work, automate cycles, optimize time, use employees more effectively, and, as a result, the machinery they operate. This second part is therefore highly recommended reading for those who are on the lookout for concrete development prospects in an industrial sector like ours which is fundamental for other sectors that are crucial to our country, such as health and tourism. It is well known that networking and meeting someone on line is a great opportunity of our times. This is not only confined to relationships among people and in fact it may mark a turning point in the history of companies that have expended ingenuity and resources into the web. This is exactly what happened to Sindata, a company located in Vimercate (on the outskirts of Milan), which thanks to the great insight and passion of its founder and owner, engineer Adriano Magni, has been designing and marketing management software for companies in different sectors for 32 years. Magni’s career was crowned with a significant achievement in 1996, namely ISO-9001 certification. And if laundries also stand out among these forward looking companies, this owes much to the web. 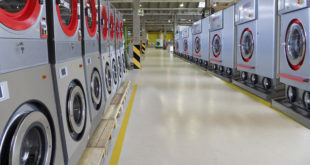 “In fact, simply by surfing the Internet seven years ago, Adriatica di Torviscosa, a major industrial laundry, decided to contact us – says Magni – The laundry was set to radically overhaul the management of its production and distribution processes, client’s warehouse, optimize production times and processes, client management, productivity, and daily workloads”. The contact paid off, so much so that the laundry industry today is one of Sindata’s core segments, along with the engineering, electronics and modern trade industries. One of the brainchildren of Sindata is called Sinlav, an application designed for the Sinergia@ laundry package, a leading product within the development environments that have helped Sindata build its strong reputation as it can completely, flexibly and specifically adjust to the client’s needs and requirements. The history and expertise garnered in the industry have made it possible for Sindata to successfully work for large sized laundries but also for the small and medium size businesses with a track record of artisan tradition. “This is largely the result – adds Magni – of the flexible architecture of Sinergia@, that can perfectly fit the characteristics and also the budget of large and small sized clients”. Because Sinlav offers all businesses, independently of their size, a flexible and complete software product to manage, depending on their size, a number of processes that include: planned deliveries, optimized shipments, fast billing times, effective interactions with agents and clients, accurate stock and warehouse control. 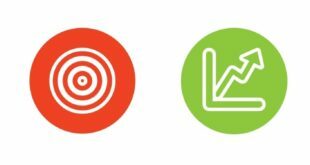 All these are separate processes but the Sinergia@ software product artfully combines them so that they all contribute to real-time reporting of the company business and thus help managers to make informed decisions. The extensive expertise garnered by Sinergia@ in the laundry industry therefore affords clients with a huge and all-around family of solutions to problems ranging from warehouse management to calendar programming, from price lists customized for each single client to the full management of routine banking operations. “We are perfectly aware that we are working for a broad variety of users –concludes Magni – We also know that our clients in small or large sized companies prefer to choose, whereas the owners of small laundries are looking for partnerships which are indispensable to continue to thrive on the market without sacrificing functions such as planning, marketing and communications. Considering the crisis the Italian economy is going through, it is comforting to be able to take proper pride in the achievements made by Italian businessmen and their state-of-the-art technology. The focus of this article is, in fact, the “laundry project” (flatwork and linen) of the Papa Giovanni XXIII Hospital in Bergamo (in the northern part of Italy), the software architecture of which was completed by Idmore di Massimo Gavoni in 2013 and managed by Tintoria Lombarda S.p.A. (as regards textile rental operations). We are not going to list the vital statistics and record figures of this wonderful and vast “healthcare city” (overall surface area, healthcare professionals involved, medical equipment, etc.) but we will provide a brief description of the fundamental features of the textile rental service using RFId technology. The Papa Giovanni XXIII Hospital in Bergamo is undoubtedly one of the best examples of the use of HF RFId technology for the tracing and tracking of linen. In short, this technology makes it possible to identify both flatwork and garments using high radio frequency multi-read technology, that is the possibility to read off multiple garments at the same time (also bagged linen). This is certainly not the first case in Italy as it follows other projects implemented at the Brescia hospital, the Molinette healthcare facility, the San Giovanni Rotondo hospitals, the Brindisi hospitals and some others. 1) INTEGRATED IT SYSTEMS Operators’ master data are fully integrated between the IT system of the laundry (Laundry RFId System) and that of the hospital with real-time updating of both systems. The Laundry RFId System then updates the database of the automated linen dispensing machines supplied by Metalprogetti S.P.A.
2) GARMENTS (STANDARD AND CUSTOMIZED UNIFORMS) Depending on the operator’s job, uniforms are automatically dispensed and this applies to both all-purpose garments “by item and size” (approximately 90%) and customized uniforms. A Datamars T-BT1315 HT orion transponder is affixed to each garment for full traceability. CLEAN, all-purpose uniforms are managed through automated dispensers activated by the operators’ badge. 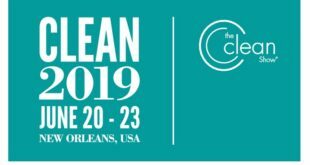 Soiled laundry is also dropped off at some RFId kiosks that automatically increase the “credits” of healthcare professionals who are thus entitled to pick up new, clean uniforms. Two RFId desktop antennas are installed in the linen and uniform department for the registration of the customized uniforms and for all drop-off/pick-up activities that cannot be performed using automated dispensers. All other operations are performed using the two RFId tunnels. 3) MATTRESSES AND PILLOWS – Traceability of mattresses and pillows — all provided with Datamars T-BT1315 HT orion transponder — is guaranteed using hand-held readers. 4) FLAT WORK (BED SHEETS, PILLOW CASES, MATTRESS COVERS, BLANKETS, ETC.) – All linen is identified through a Datamars T-BT1315 HT orion transponder and can withstand the pressure of modern presses (up to 50 bars) as well as processing in tunnel washers and flatwork ironers). The linen prepared by Lavanderia Tintoria Lombarda di Barbariga is delivered to the linen and uniform department of the hospital and entered in the stock book. Later, it is sorted and shipped to the hospital wards and to the external facilities using the RFId HF TUNNEL antenna in the department. The bags of soiled linen from the hospital wards are read off by the second tunnel that allows for the immediate replenishment of stocks. The patients value the efficacy and efficiency of the service and equally grateful is the hospital linen and uniform department staff because this technology makes their job simpler and more reliable (each single garment and all linen used by hospital wards are correctly replenished). Thanks to the traceability of transponders it is also possible to determine linen turnover and identify any potential loss of linen so as to guarantee prompt, safe and fail proof management. To conclude, I’d like to thankfully acknowledge the HF RFId technology and also express my pride in this software and plant project. Why? Because — leaving marketing hype aside – it is a great comfort to ascertain how the use of technology can help patients in their daily life. Dove la possibilità di un domani dipende in senso sempre più stretto dalla capacità di organizzare il lavoro, automatizzare i cicli, ottimizzare i tempi, utilizzare nel modo più efficace innanzitutto i dipendenti, e di conseguenza le macchine a loro affidate. In tal senso anche la lettura di questa seconda puntata si raccomanda vivamente a chi è alla ricerca di concrete prospettive di sviluppo di un comparto industriale come questo, fondamentale per settori cruciali del Paese, come la sanità e il turismo. Conoscersi in Rete, si sa, è una grande opportunità dei nostri tempi. Ma è una chance che non riguarda solo le relazioni fra individui. Può costituire un punto di svolta anche nella storia di aziende che alla Rete destinano ingegno e risorse. In Brianza ve lo spiegano molto bene alla Sindata di Vimercate che, grazie alle intuizioni e alla passione del suo fondatore e proprietario, l’ingegner Adriano Magni, da trentadue anni progetta e fornisce software gestionale a imprese dei più vari settori. Un percorso coronato dalla certificazione Iso 9001, ottenuta già nel 1996. Se fra queste imprese oggi spiccano anche le lavanderie, la ragione va cercata proprio nella Rete. “Semplicemente perché fu navigando in internet che, sette anni fa, una grande lavanderia industriale come l’Adriatica di Torviscosa decise di contattarci – racconta Magni. Il suo obbiettivo era quello di una radicale trasformazione nella gestione dei propri processi produttivi e distributivi: dal magazzino al cliente, ottimizzando tempi e modi di produzione, gestione dei clienti, rese, carichi di lavoro giornaliero”. E’ evidente che il contatto fu felice. Al punto che oggi quello della lavanderia costituisce uno dei comparti principali in cui opera Sindata, assieme a meccanica, elettronica e grande distribuzione. Il frutto concreto di un percorso così felice si chiama Sinlav, applicazione ideata per le lavanderie di Sinergia@, prodotto leader nell’ambito di quegli Ambienti Evolutivi su cui Sindata ha costruito il proprio successo. Si tratta di strutture che garantiscono capacità di adattarsi nel modo più completo, specifico e flessibile all’identità e ai bisogni del cliente. La storia e le competenze acquisite nel settore fanno sì che ora Sindata si proponga con successo non solo alle grandi aziende della lavanderia, ma anche alle medie e alle piccole della migliore tradizione artigiana. “Ciò è possibile – chiarisce Magni – grazie alla struttura dichiarativa di Sinergia@, in grado di adattarsi non solo alle caratteristiche, ma anche al budget di clienti piccoli e grandi”. Perché gli uni e gli altri – questo è il punto – hanno la possibilità di dotarsi, grazie a Sinlav, di un software flessibile e completo con cui gestire, a seconda delle dimensioni, un percorso che comprende: consegne pianificate, spedizioni ottimizzate, tempi di fatturazione velocizzati, interazioni razionalizzate con agenti e clienti, puntuali controlli di magazzino e materiali. Sono processi fra loro separati. Ma nello stesso tempo, nel software di Sinergia@, si intrecciano contribuendo tutti assieme a formulare report in tempi reali sull’attività dell’azienda, in modo da favorire le migliori soluzioni da parte di chi la dirige. 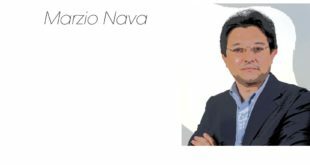 La lunga esperienza tesaurizzata da Sinergia@ nel settore “Lavanderia” consente quindi di offrire ai clienti un’autentica, vastissima e universale gamma di soluzioni a problematiche che spaziano dalla gestione del magazzino alla programmazione del calendario, dai listini personalizzati cliente per cliente a una gestione integrale delle operazioni bancarie di routine. “Sappiamo di rivolgerci a utenti fra loro diversissimi – conclude Magni – Sappiamo anche che quelli delle aziende medio-grandi preferiscono scegliere, mentre i titolari delle piccole lavanderie cercano partnership di fondamentale importanza per resistere sul mercato senza abdicare a funzioni come la pianificazione, il marketing e la comunicazione. Sindata li affianca in tutto ciò”. In questo difficile momento della “Azienda Italia”, poter essere orgogliosi di realtà frutto della capacità imprenditoriale e della tecnologia “nostrana” è un bene da proteggere e da divulgare. Parliamo allora della realizzazione del “progetto biancheria” (piana e confezionata) dell’Ospedale Papa Giovanni XXIII di Bergamo, ultimato (per la parte software) da Idmore di Massimo Gavoni a febbraio 2013 e gestito da Tintoria Lombarda S.p.A. (per la parte relativa al servizio di lavanolo) all’interno dell’avviamento di quello che è diventato il più grande Ospedale d’Italia. Evitando volutamente di “dare i numeri” di questa stupenda e complessa “città sanitaria” (superficie totale, operatori coinvolti, strumentazioni mediche, ecc. tutti “da record”), ci soffermeremo su una descrizione sommaria delle caratteristiche fondamentali del servizio di lavanolo con uso di radiofrequenza. L’Ospedale Papa Giovanni XXIII di Bergamo rappresenta sicuramente una tra le testimonianze più evidenti e complete dell’uso dell’identificazione della biancheria mediante RFId HF (identificazione con Radio Frequenza (alta) multi-lettura, cioè, in parole povere, la possibilità di leggere più capi per volta anche all’interno di sacchi) sia per quanto riguarda la biancheria piana che per quella confezionata. NON è sicuramente il primo caso in Italia e ricorderemo a questo proposito l’Ospedale di Brescia, Molinette, gli Ospedali di San Giovanni Rotondo, Brindisi…. 1) SISTEMI INFORMATIVI INTEGRATI La gestione delle anagrafiche degli operatori è totalmente integrata tra il sistema informatico della Lavanderia (Laundry RFId System) e quello dell’Ospedale che aggiorna in tempo reale entrambi i sistemi. Laundry provvede poi ad aggiornare il Database dei Distributori automatici di Metalprogetti S.P.A.
2) BIANCHERIA CONFEZIONATA (DIVISE GENERICHE E PERSONALIZZATE) In funzione della mansione, vengono automaticamente attribuite le dotazioni agli operatori, sia per quanto riguarda le vestizioni “generiche x articolo-taglia” (circa il 90%) oppure quelle personalizzate. Su ogni capo è installato un transponder Datamars T-BT1315 HT orion che ne consente la tracciabilità. Le divise generiche PULITE sono gestite mediante distributori automatici ove gli operatori accedono mediante Badge. Anche il ritiro della biancheria sporca avviene mediante appostiti “sportelli” RFId che vanno ad incrementare i “crediti” di biancheria degli operatori abilitando le riconsegne. Nel guardaroba sono installate 2 “antenne RFId da tavolo” che consentono l’immatricolazione delle divise personalizzate e tutte le attività di consegna – ritiro non effettuabili coi distributori automatici. Tutto il resto viene effettuato mediante l’uso dei 2 tunnel RFId. 3) MATERASSERIA – Anche la tracciabilità della materasseria, identificata mediante transponder Datamars T-BT1315 HT orion, è garantita attraverso appositi lettori palmari. 4) BIANCHERIA PIANA (LENZUOLA, FEDERE, TRAVERSE, COPERTE, ECC..) Anche tutta la biancheria cosiddetta “piana” è identificata col transponder Datamars T-BT1315 HT orion, resistente e garantito sino ai 50 bar delle più recenti presse (senza problemi anche alle lavacontinue ed ai mangani…..). La biancheria preparata presso la Lavanderia Tintoria Lombarda di Barbariga viene inviata al guardaroba dell’ Ospedale e caricata a magazzino. Successivamente viene smistata ai reparti dell’ospedale ed ai presidi esterni mediante l’antenna RFId HF TUNNEL posta nel guardaroba. La lettura dei sacchi di “sporco” proveniente dai reparti effettuata mediante il 2° TUNNEL consente di effettuare immediatamente i reintegri. .. ed i pazienti ringraziano per l’efficacia e l’ efficienza del servizio, insieme al personale addetto al guardaroba in quanto il loro lavoro è estremamente semplificato e molto più affidabile ( si reintegra veramente, pezzo per pezzo, tutta la biancheria effettivamente usata dai reparti..). Attraverso la tracciabilità dei Transponder è anche possibile definire la “rotazione” della biancheria e diagnosticare possibili smarrimenti di biancheria con tempistiche che ne consentono una gestione sicura e senza possibilità d’errore. Mai come in questa occasione mi sia consentito di ringraziare la tecnologia RFId HF e di essere (perché no) orgoglioso di un impianto e di un progetto software. Perché cercando di evitare qualsiasi strumentalizzazione di natura commerciale, fa piacere (molto) constatare come a volte la tecnologia possa aiutare a servire meglio chi soffre.